Wet2Dry Solutions is a name to trust providing cleanup, mitigation, and restoration services for residential and commercial building owners and managers. Company leadership has more than 15 years of experience in the cleanup and restoration industry. Wet2Dry Solutions prides itself on communication provided through comprehensive documentation, transparency and systems enabling us to respond to the unique conditions of your loss. 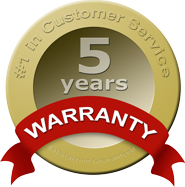 Our exacting standards prevent you from having any secondary damage. You will save money and benefit from not adding unnecessary repairs. Solutions, right the first time. Wet2Dry Solutions specializes in mitigation rather than reconstruction. We do everything possible to restore, rather than replace, damaged structure and contents. We are experts at removing even the most difficult intrusive water damage and persistent smoke odors. We provide the kind of restorative cleaning required to return property and contents to pre-loss condition. 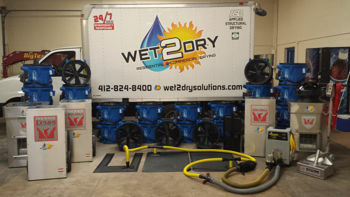 Wet2Dry Solutions has saved thousands of dollars for business owners, home owners and insurance companies. As a Professional Emergency Restoration Contractor with the expertise and capabilities you require, we restore the damage and mitigate further loss. You can have confidence that our team of professionals will quickly restore what is important to you. Expedience with execution is our standard. You will benefit from uniquely trained personnel and state-of-the-art equipment to meet your needs. Fast reasonable damage solutions are accomplished through dependability and the most up-to-date technology and education. You can count on our teams of expert professionals to return your residential or commercial property to its pre-loss condition as quickly as possible, so you can get your life back to normal again. There are numerous reasons why we are the first choice in Disaster Cleanup Services, most important being: we work hard to earn your trust.